Find out why Cooper Landing, Alaska is referred to as "The Gem of the Kenai Peninsula"! Are You Ready to Make a Memory? Discover & Connect with great local businesses in Cooper Landing! Cooper Landing and the surrounding area make life convenient for both residents and guests! We hope you’ll visit and fall in love with our little piece of Alaska paradise! As a Chamber member you will have access to networking opportunities, business education, community support, and many more benefits for your business. Whether you are on vacation, or just enjoying life, Cooper Landing has MUCH to offer! Enjoy fine dining or stay in comfort at one of the many choices of accommodations! 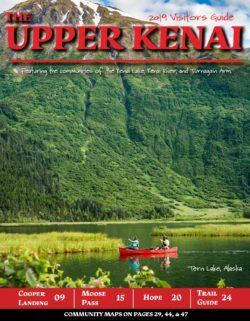 Home to spectacular scenery, wildlife viewing, world-class sport fishing and other outdoor pursuits, the Upper Kenai Peninsula is where South Central Alaskans and visitors from around the world come to play, explore and relax in nature’s serenity.